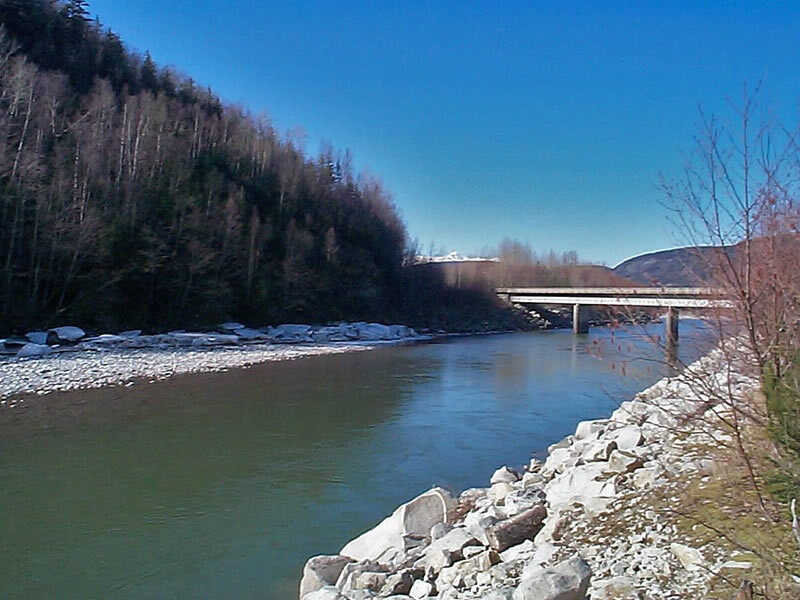 Here is the Zymoetz (Copper River) upstream from the Copper River bridge on Yellowhead Highway 16, 15 km. (9.3 miles) east of the City of Terrace. On the far (shaded) bank are large chunks of ice left from spring breakup which had not yet melted. The photo was taken on March 24, 2005 at 9:49 AM. Photo © Elaine Fleischmann.